Richard Wu is 15years old and from Bridgewater, New Jersey. He attends Bridgewater-Raritan High School and will be a junior in the fall of 2012. His hobbies include playing the piano and playing tennis. Richard is interested in computers and plans to study computer science in college. 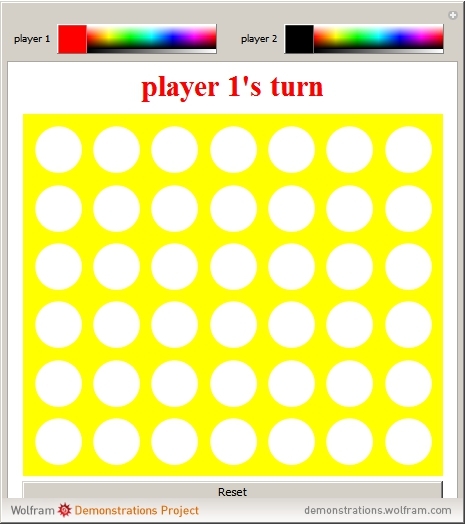 Two players alternate clicking on a column to drop a piece. Connect four of the same color horizontally, vertically, or diagonally to win.